According to Right Wing Watch, the hotline was created to allow residents to report “any crime against a person or property motivated by prejudice against someone’s race, religion, disability, sexual orientation, ethnicity, gender or gender identity. This includes prejudice-motivated property damage (including graffiti), stalking and assault.” But according to Bachmann, it’s just another attempt by liberals to stifle criticism of Islam. 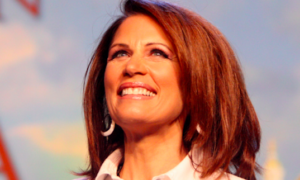 “What we’re seeing is that hotlines are being set up by units of government for the purpose of encouraging people to call in and rat on their fellow man to report a hate crime,” Bachmann said.